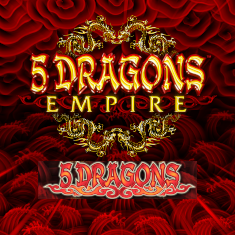 On the success of Asia’s mega brand, 5 Dragons Empire™ combines a new experience with 4 level Hyperlink Progressive Jackpots. Players will be awarded with additional wild multipliers in both base and free games as they move up the experience levels. The acclaimed pick & match feature has now evolved with jackpot boosting mechanic for bigger and better rewarding jackpots, win bigger Jackpot with Boost revealed! Players can choose their volatility game experience in their base games. 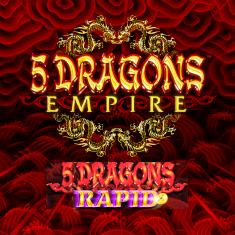 This add an entirely new dimension of game play experience for all types of player.